I braved torrential rains and white knuckle driving on the I5 to make the 6+ hour journey to visit the Castelli USA headquarters in Portland. 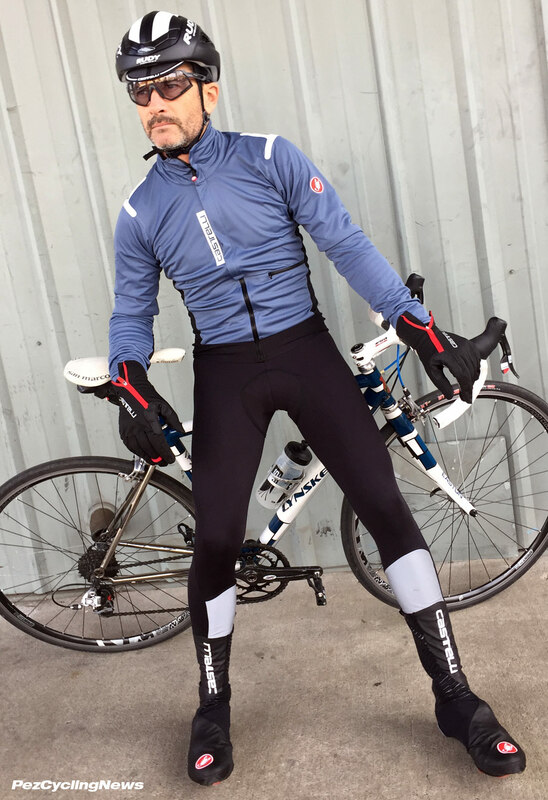 The rough weather set the stage for my visit - to finally see and ride the much anticipated complete RoS Collection of all-weather cycling kit - including jacket, gloves, shoe covers, cap, and the Nanoflex Pro 2 bibtights. Click Play to Watch my video review, or scroll on down to read it right here. And see more video reviews at the PEZ Youtube channel here. 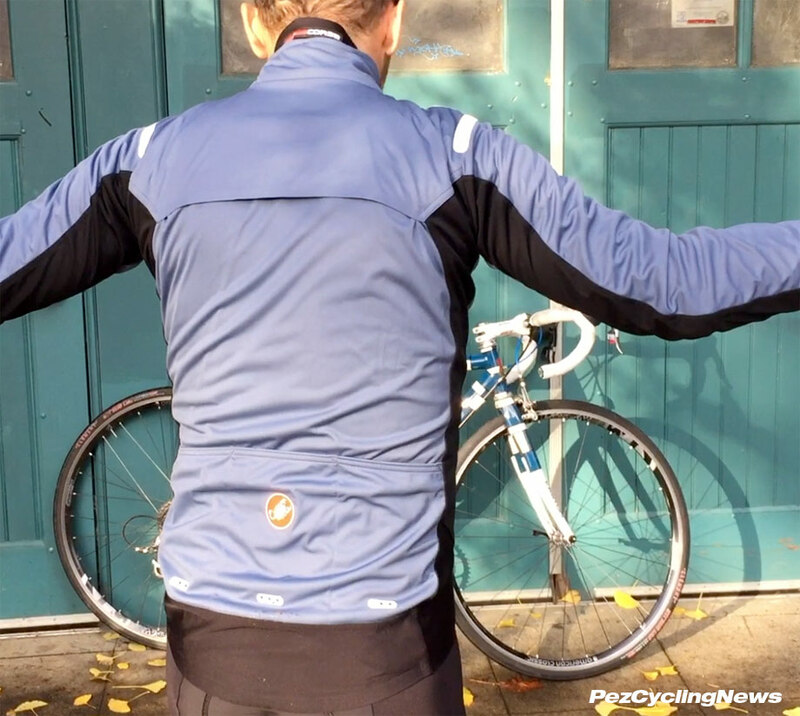 The most viewed video (with over 66,000 minutes of watch time) on the PEZ Youtube channel is my original review of the Castelli Alpha jacket (see it here, or scroll to the bottom to roll the video). That original jacket set the stage for cycling apparel that could be worn in a wider variety of temperatures and conditions than was available at the time. As the jacket was refined into a lighter version (that I reviewed here), the bright bulbs at Castelli were already well into development of a full range of clothing to cover rider from head to toe - and in Fall 2018 they revealed the RoS (Rain Or Shine ) Collection including updated RoS jacket, Spettacollo RoS gloves, RoS shoe covers, RoS cap, and the Nanoflex Pro 2 bibtights. 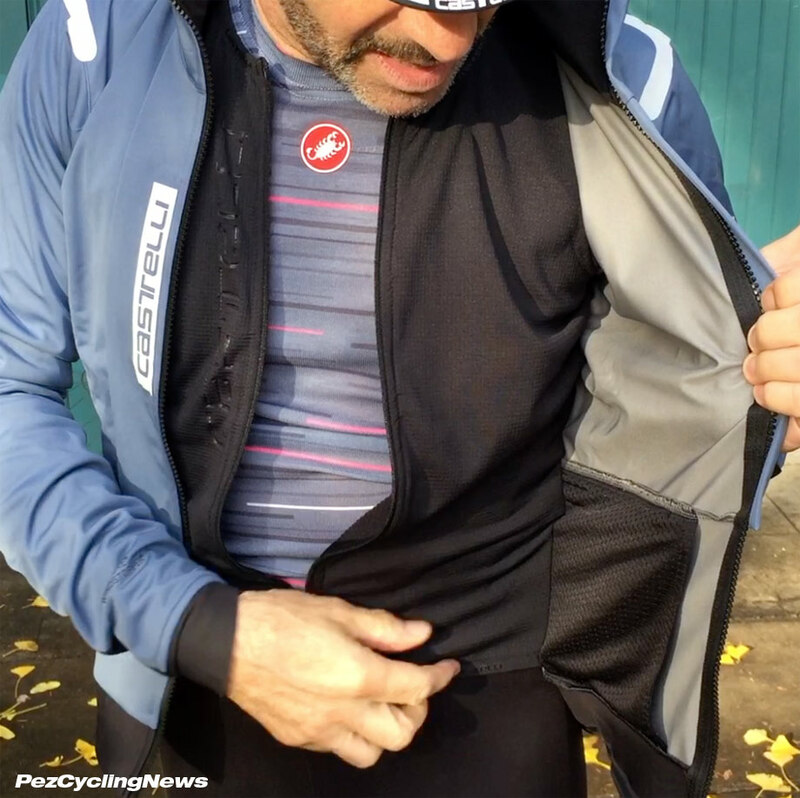 We got our first look at the new RoS Jacket at Eurobike last summer - with its signature feature of the full zip front liner inside that works like the front panel of a base layer to keep you warmer, but can be opened to keep you cooler too. 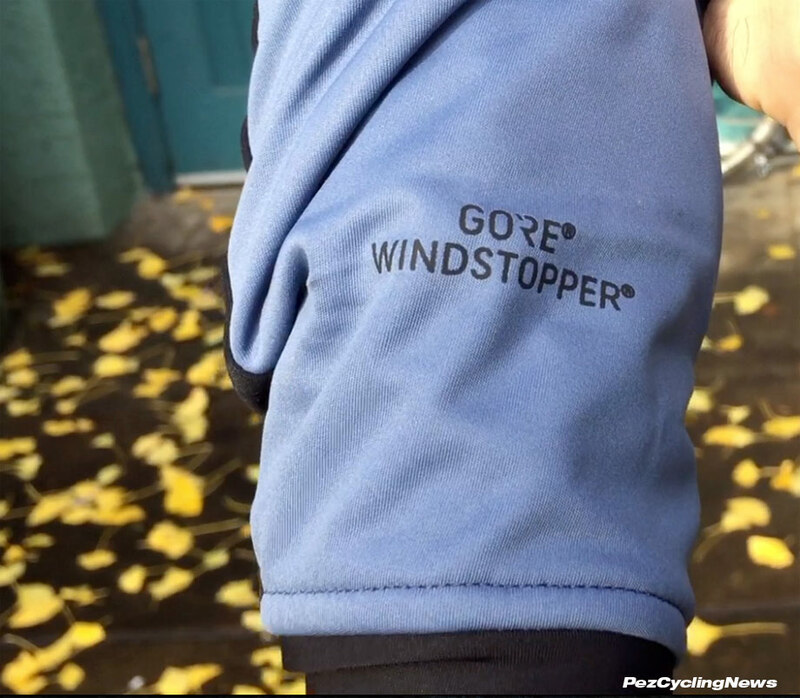 The main body of the jacket is Gore Windstopper, so protection is very good both front and back. The side panels and under the arms are breathable to help regulate temperature. There's also a large vent under that flap running across the shoulders. The price is US$349 which is right in the ball park for top line kit like this. 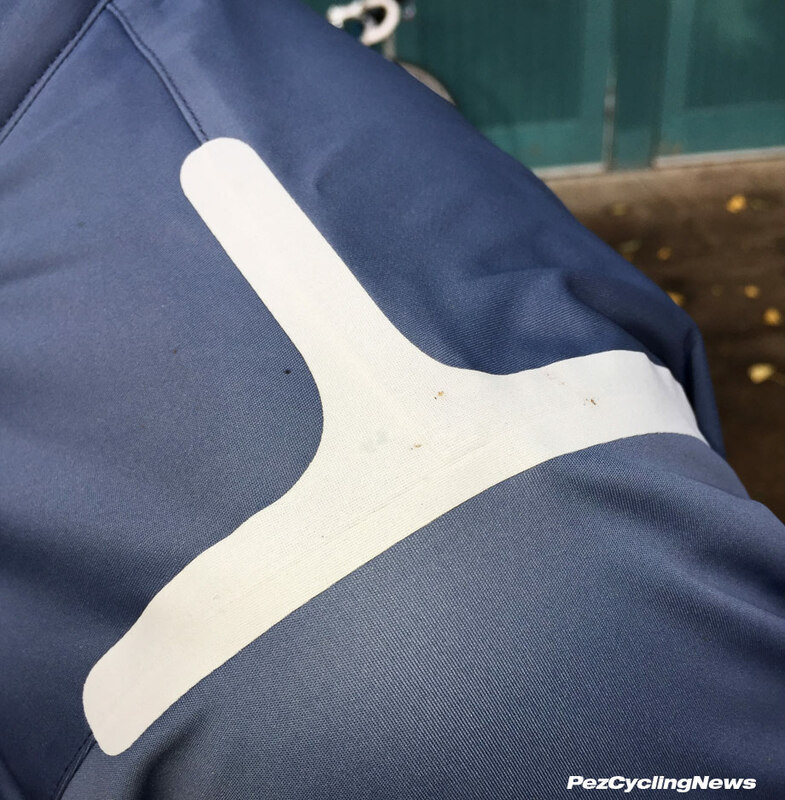 The epaulets are water repellant tape to better seal the shoulder seams, and also highly reflective for added visibility. The collar is nice and high, with a soft flap that extends further up the back of the neck to block any chill from sneaking in. 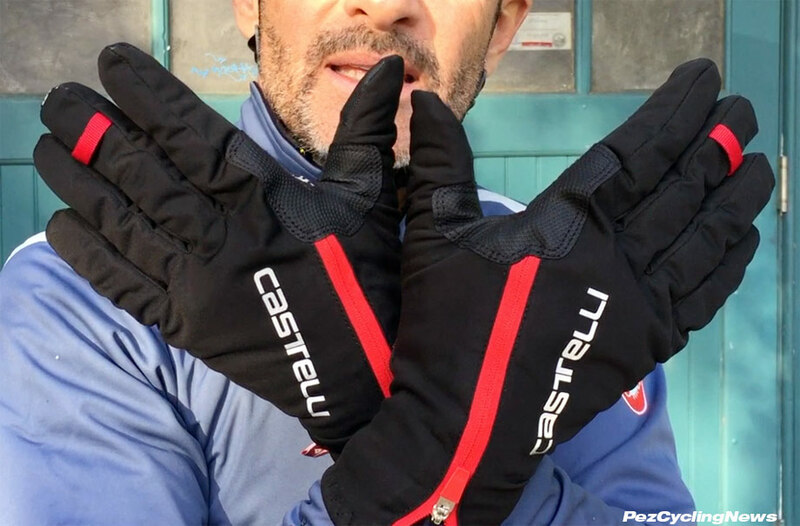 The Spettacollo RoS gloves (US$99) offer some mighty fine protection and some of the smartest thinking in glove design I've seen. 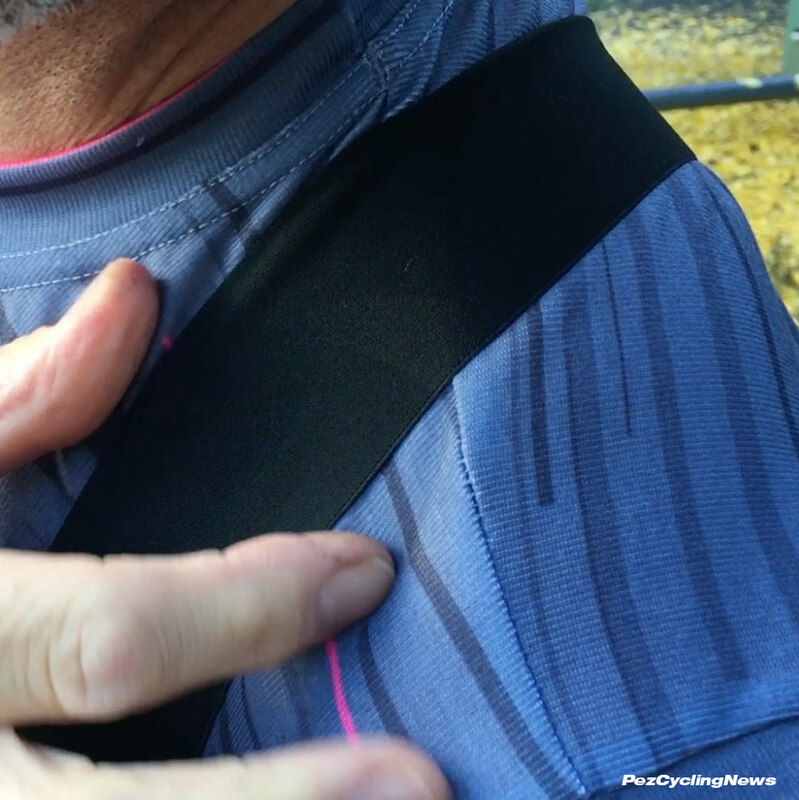 The cuff is longer than most gloves, offering plenty of coverage well past the wrist, but with a body-hugging fit that will work either under or over a jacket or jersey sleeves. The material on the back is there to repel water and wind so you stay dry and warm. Getting 'em on and off is a breeze, thanks to the easy to reach long zipper placed along the back of the glove. It's got a big pull tab that's easy to grab with gloved fingers, and locks down so it won't flap or rattle round while riding. It's also backed with a fleece lining that ensures cold air can't get in. The palm also shows off some well thought-out features. Webbed silicon in the palm and first two fingers makes for a better grip on the bars and levers, and there's a nice big tab at the base of the wrist to make pulling 'em on easy. The tips of the thumb and forefinger are also designed to work on your smartphone screen. The inside is a full fleece lining which is plenty warm, making these a good choice for some pretty cold days. 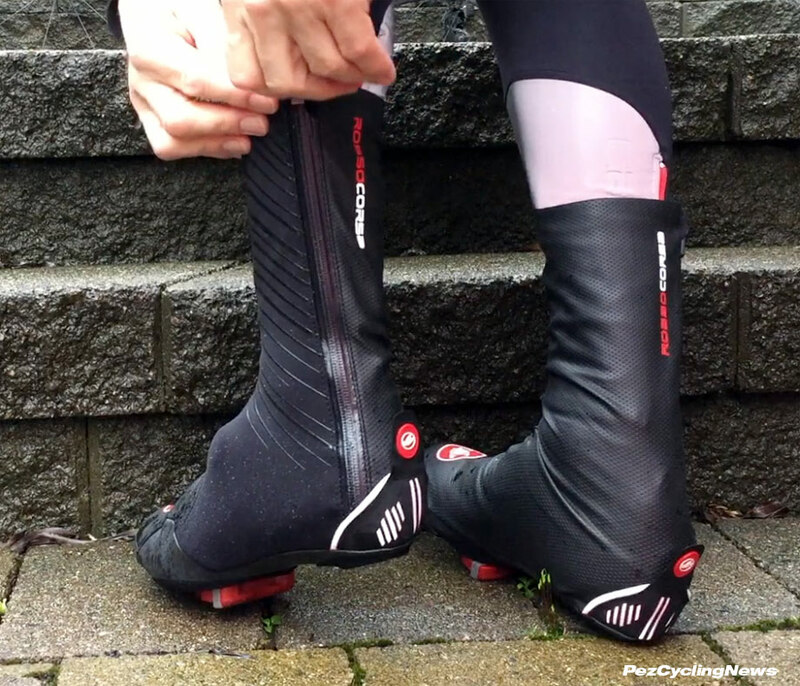 The Spettacollo RoS Shoe Covers (US$89) could be setting a new bar in shoe coverage. The challenge around feet is the movement at the ankle means you need flexible fabrics - which inherently aren't the most waterproof. 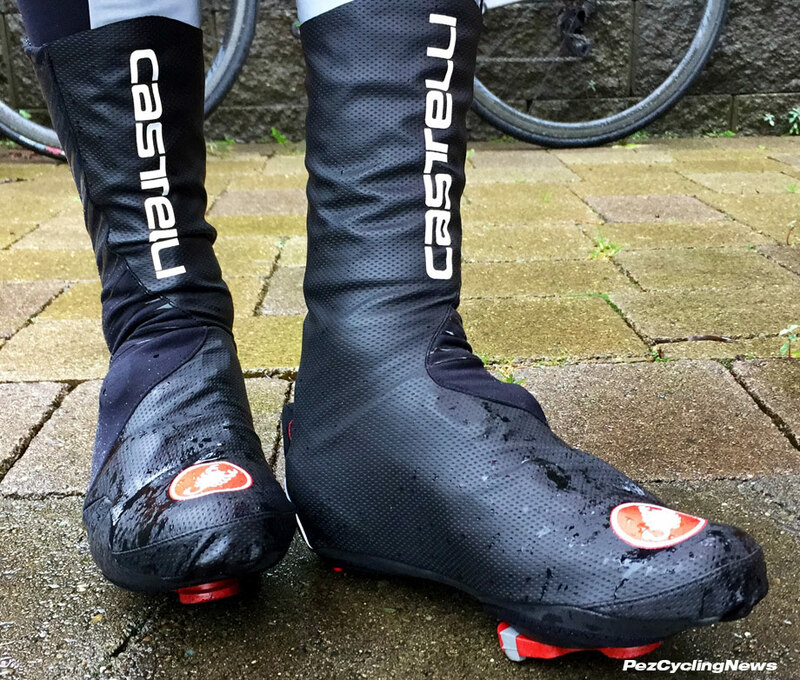 Castelli has solved this issue by using time honoured tailoring techniques (they are Italian after all) to cut materials to ergonomically fit the varying shapes of a foot, ankle and lower leg, and mixed two fabrics to achieve a very good fit and very good dryness at the same time. 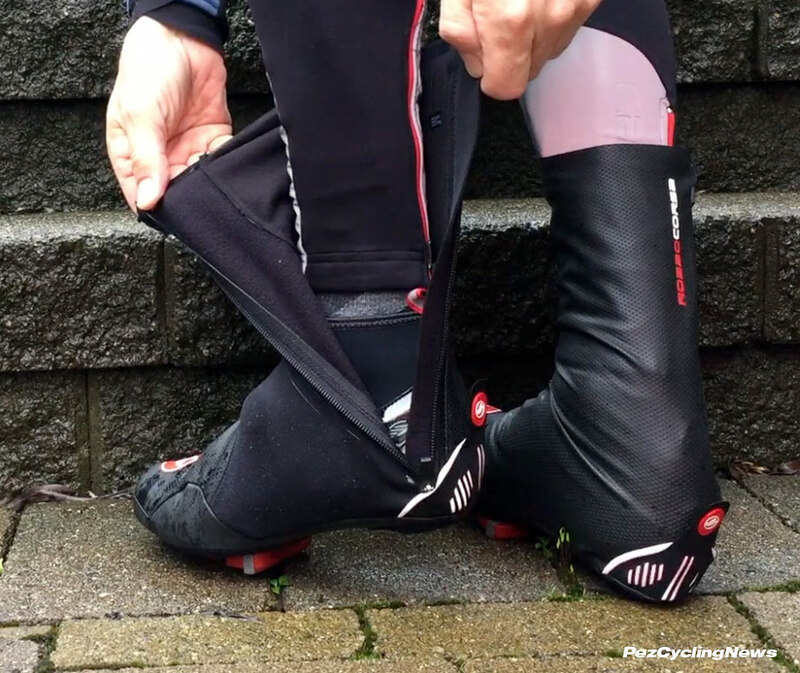 The result is a fitted shoe cover that fits snugly in all areas, while allowing enough flex to move though the pedal stroke without radically changing shape or opening gaps that might allow cold air and water inside. They're taller than many shoe covers I've tried, which might look odd at first glance, but that extra height does a better job of keeping tights and legs protected from road spray. The waterproof YKK zipper is placed on the back outside of the ankle to allow much easier access, while keeping it away from road spray thrown up by wheels. Inside they're lined with a light fleece for warmth, and the ankle fits snugly enough that you can smoothly place them under bib tights on really wet days. That fitted form also looks cool - and means less material and bulk sticking out in the wind - so yeah - you could say they are more aero than a lot of other show covers. The heel features a good sized pull tab to help get em on, and underneath is fully enclosed with a tough waterproof fabric that has two openings for cleats and heel caps. The Nanoflex bibtight was pretty much the first non-membrane fabric bibtight to do a decent job of repelling water while allowing well functioning breathability - one of my very first PEZ videos demonstrated just how much water beaded up and rolled off this fabric. 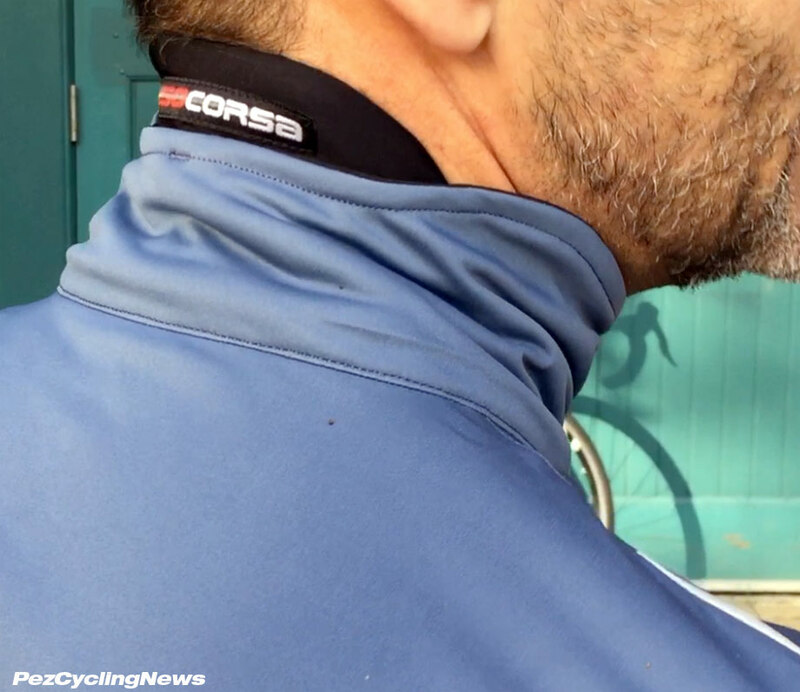 After several iterations and updates, the new Nanoflex Pro 2 bibtight offers up what Castelli says is their best version of this fabric yet - offering more warmth and yes - better water repellency - thanks to their new Nano Flex Xtra Dry fabric. In addition to the main fabric, these use a fully waterproof fabric sewn into the shins and positioned to better protect from wheel spray. This fabric is also highly reflective when hit with car headlights. 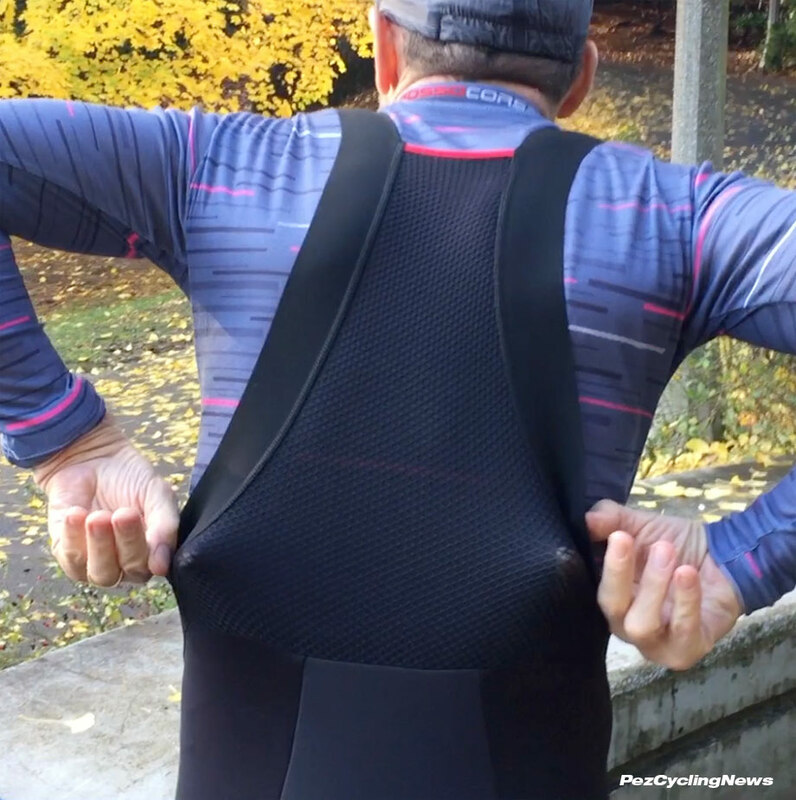 These bibs are a slightly heavier gauge than earlier versions, which should make them better for colder days, and a true candidate for riding right through the winter here at PEZ HQ. They're sewn with a minimum of seams, to reduce places where moisture can infiltrate. The shoulder straps are wide but thin - using a crisp laser cut edge to smoothly lie flat under a jersey. I'll confirm the comfort - and they stayed nice and flat throughout my rides. The back panel is full mesh - which adds enough structure so the straps sit in place better, and allows plenty of ventilation. 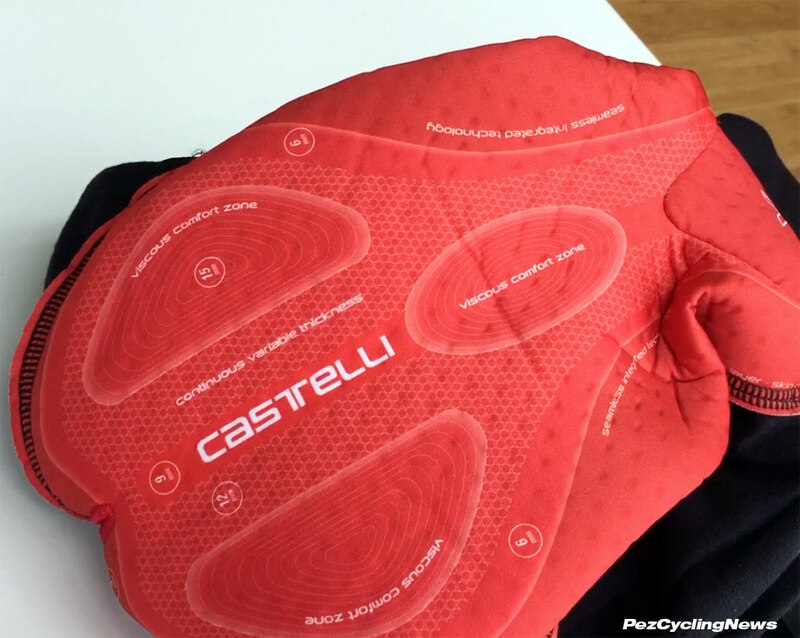 The seat pad is the long running Progetto X2 Air seamless pad which has been one of my favorites for years. Minimal seams and a nice smooth fabric that sits next to the skin means this is less prone to bunching or chafing than other pad designs. 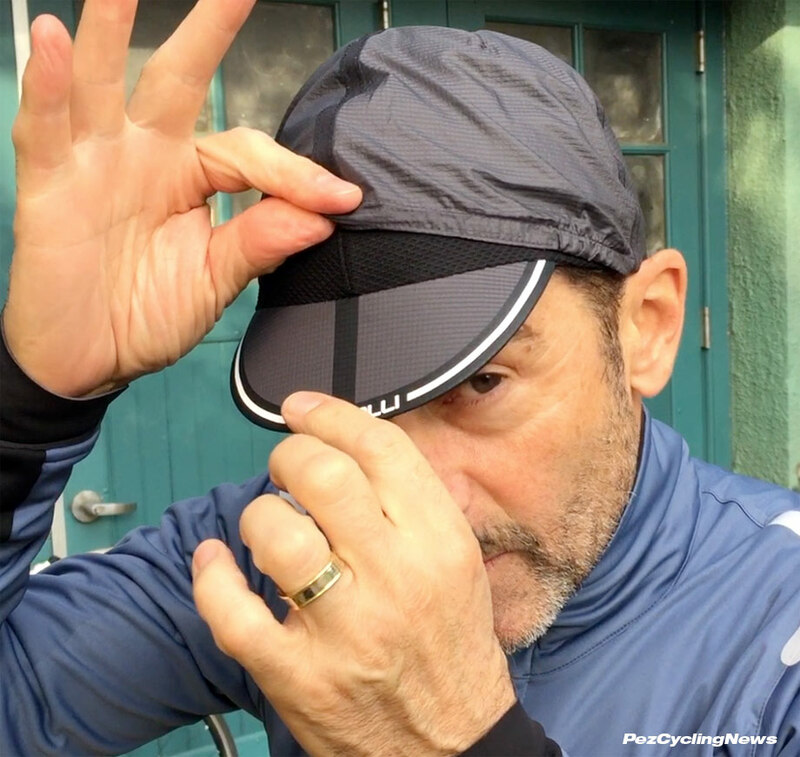 The RoS Cap - $35 tops it all off with an ingenious design that allows the cap to quickly convert from a water-repelling protector into a mesh vented layer that keeps the heat quotient low on your noodle, and could even function as a bug screen. You simply grab the from tab of the cap above the peak, and flip it backwards to reveal the full mesh venting. Nice. Overall this is a complete collection that will appeal to the legions of Castelli fans out there, and riders who just appreciate smart gear that allows better protection and better riding. 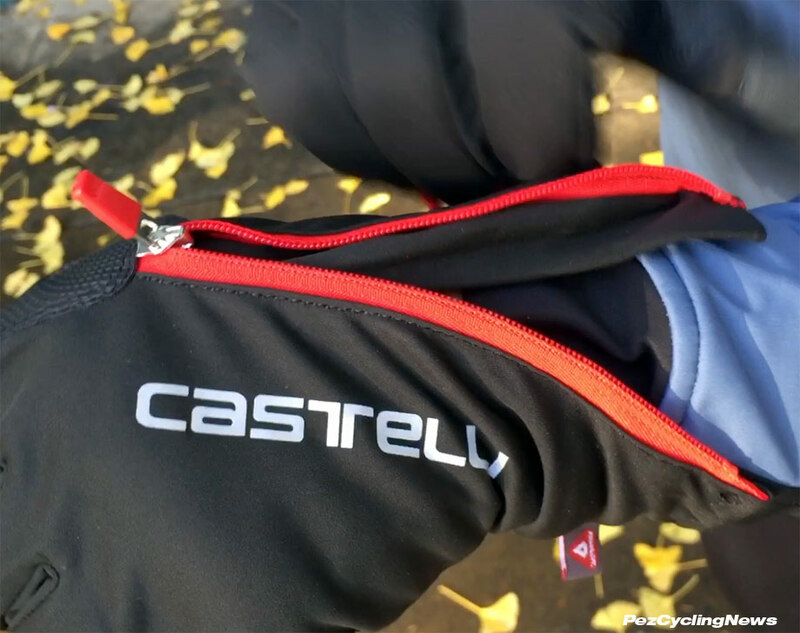 I'm admittedly a big fan of a lot of Castelli gear, and think the evolution of the RoS jacket has been a great thing for my riding in cold wet weather, with the added bonus to use it on cool dry days as well. Even though I have access to as much kit as I want thanks to years of reviewing it, I love the practicality of not having to own too many pieces of kit for every single type of riding condition. Castelli has a huge catalog, and indeed does have a piece of kit to cover off virtually every type of condition you could think of - that's because their product development is led by a guy who really loves to ride his bike, and has a passion for creating legit cycling gear, and the rest of the company believes this too. But I also appreciate that they've added some valuable practicality to the line with the RoS Collection - single pieces of gear to function over a wider variety of conditions so you don't have to buy extras. For my rides here in wet winter Vancouver - the RoS jacket is a keeper - it's warm enough for days down to my threshold of 7C degrees, and while it's not a full rain jacket ( I might tuck the Tempesta rain jacket along if the weather looks like it could cave part way in). Layer in the right base and it'll get you through even colder temps. 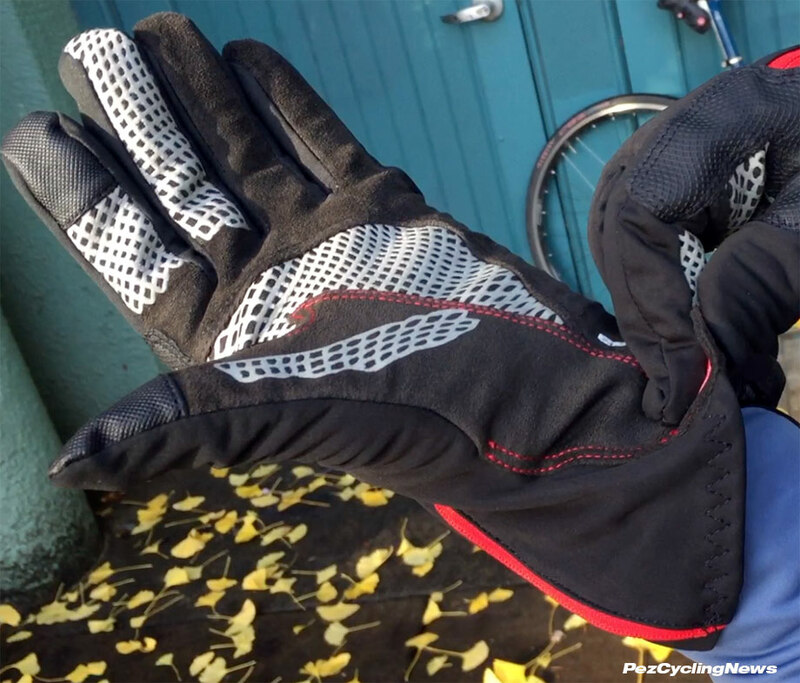 I've been very impressed with the RoS gloves - the fit and features are outstanding, and my only comment is that I found them quite warm - better suited to cold wet days from November through March here, but likely too warm for Spring. The RoS Shoe covers are also excellent. The fleece lining adds enough warmth that these should suit me just fine through shoulder seasons, but maybe not the coldest of winter days. I could see these being very useful come May and a ride in the high Alps or Dolomites where temps and conditions are vastly different at the bottom than the top of the big climbs. The ingenuity of the RoS Cap is impressive - and it works. They say you can lose 50% of your body heat through your head, so keeping it warm is key. 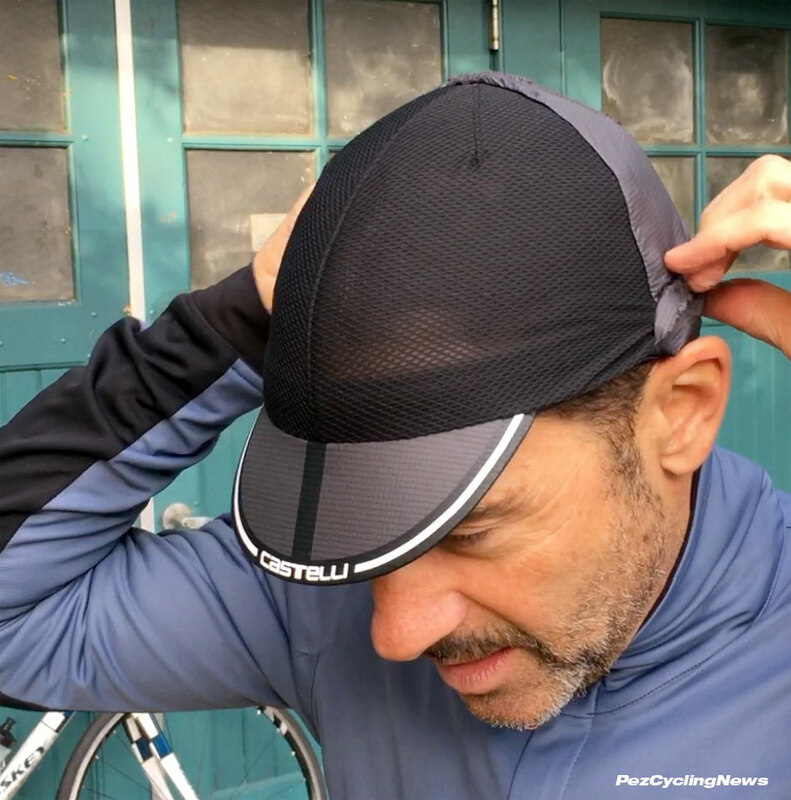 But overheating is also a factor - and the easy flip-style venting of the cap makes it a handy item to have for any cool day where you don't need to cover you ears. 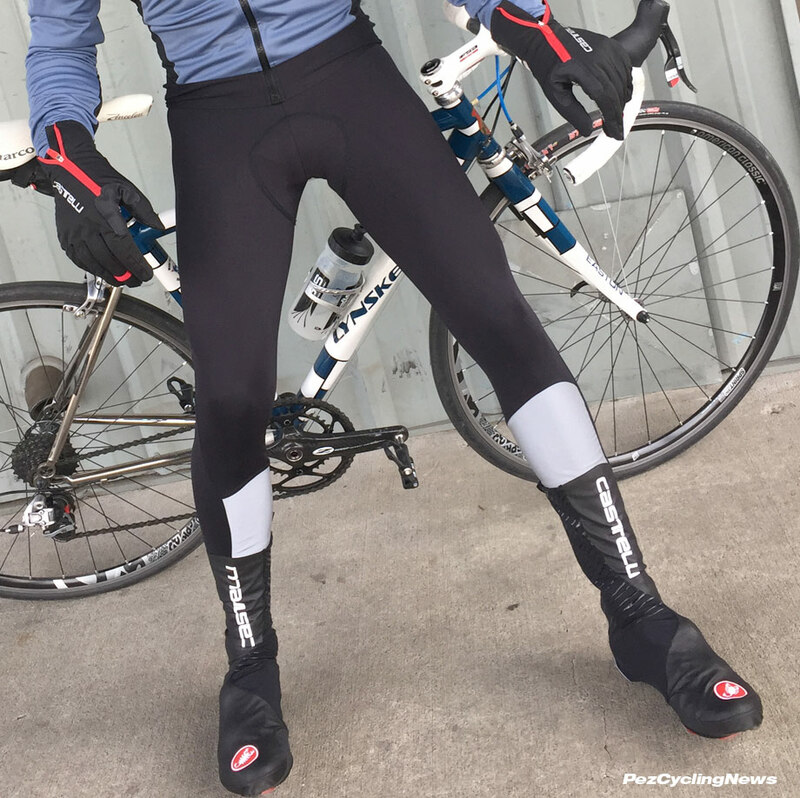 The Nanoflex Pro 2 bibtights are built for just about the coldest days I'd consider riding. There's an extra thickness to the material that just adds warmth. I should note that I also have in house some lighter versions of the Nanoflex bibtights, and the weight & thickness of the material does make a difference to when I'd choose to use em. These are great for cold wet days - period. All the pieces are available at your local stockist, or online at the Castelli website here.